This strange aquatic perennial plant has no real roots, and so floats around in shallow lakes. On its thread-like leaves are numerous bristles and small bladders with which the plant traps tiny aquatic creatures such as water fleas, upon which the plant then feeds. 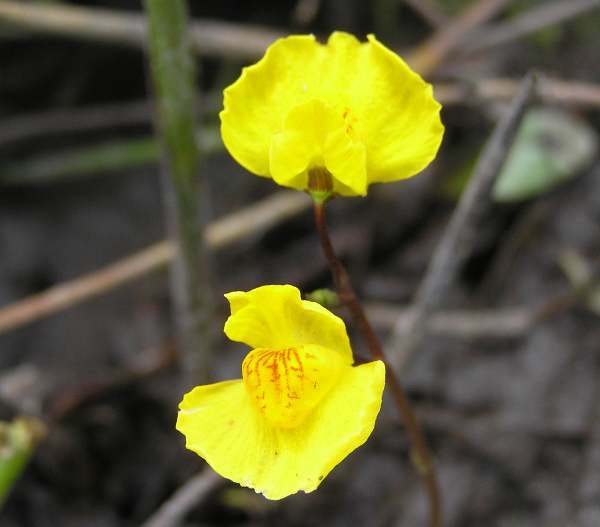 Greater bladderwort is one of several species in this genus; its flowers are pollinated by insects that come to drink its nectar and hence carry pollen from one flower to another. 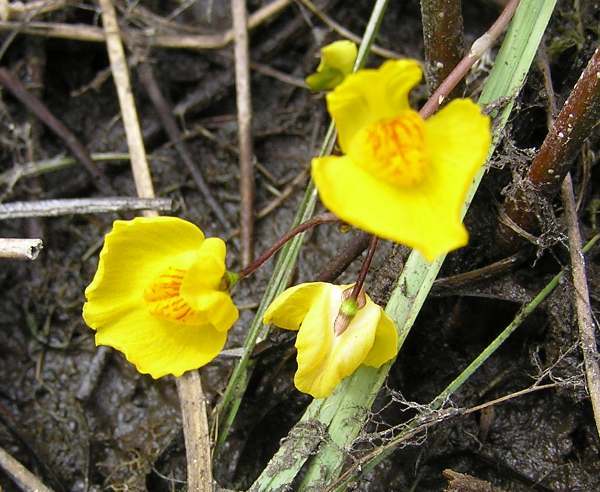 New bladderwort plants can also grow when pieces break off from a plant during windy weather or when water birds swim past. The flowers shown on this page were photographed at Cors Caron (Tregaron Bog) National Nature Reserve, near Tregaron in West Wales.